YPSILANTI, Mich. - A business owner in Ypsilanti has started a water drive to benefit Flint residents with discounts to customers who contribute. Motivated by Michigan's announcement of the closure of free water sites in Flint, barbershop owner Ryan Griffin is asking his customers to drop off water to him and whatever they've spent on the water would be deducted from their haircut or other grooming services. The drive will run until May 25. 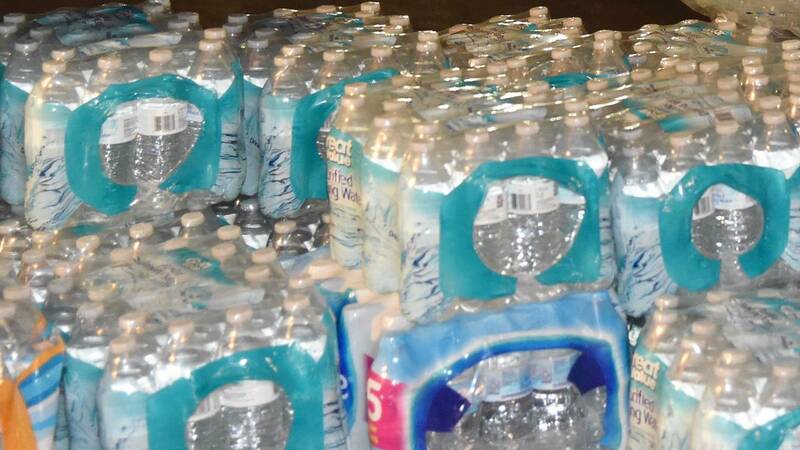 Water will be distributed to residents of Flint during Memorial Day weekend. "It is difficult for me to watch people suffer. I feel that it is my/our responsibility to give our energy to one another," Griffin said. "I know that my effort is small. I know that a case or two may only help one family, but if it can bring some sort of relief or help; so be it." The water drive isn't the first time Griffin has helped communities. He had initiated a reading program where young patrons are encouraged to read a book to their barber as they are getting their hair cut. The goal of the endeavor is to increase the vocabulary of the kids, as well as their confidence from the detrimental imagery from music, movies and the like. With literacy being a major problem in urban communities, he said that he is happy other barbers have similar programs that help to promote literacy. It's not required to be a patron to donate water. Water can be brought to Griff's Unlimited Cutz at 800 S. Grove Road in Ypsilanti. "Flint, Michigan, is just an hour away from Ypsilanti and not some remote Third World place that we often hear about; but an hour away," Griffin said.